It's your worst nightmare: you have bed bugs. This problem is becoming more and more common in big cities and apartment buildings. However, it can happen absolutely anywhere. Bed bugs aren't just annoying and time consuming to deal with - they can also cause physical pain, irritation, and isolation. Once an infestation hits, you need to move quickly. The sooner you get the infestation under control, the sooner you can get back to your every day life. At Carpet Cleaning Service, we do everything in our power to remove bed bug infestations as quickly as possible. We know how important your comfort and safety is. That is why we don't just keep your carpets, mattresses, and upholstery clean. We also focus on providing bed bug extermination to residential and commercial spaces throughout Toronto and the GTA. This ensures that your home isn't just clean - it is also free from bed bug contamination. How do you know when to make that phone call? There are certain signs to be aware of and look out for. One of the first signs that you may have bed bugs is if you notice any small bites on your body. They are usually red and can cause itching or irritation. These bites are most commonly found on your neck, shoulders, arms, and legs. Another sign that it's time to call our Carpet Cleaning Service professionals? If you start to smell a strong odour in your bedroom. This scent normally smells like rotten raspberries, but any strong odour may indicate an infestation of some sort. Lastly, if you physically see a bed bug - don't delay. They are a normally a light brown colour and are oval in shape. Even if you only see a few bugs, take action. There are likely many more hiding! 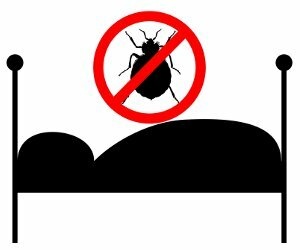 Bed bugs are most often found inside mattresses, your box spring, or the baseboards in your bedroom. They are tricky as they move quickly, lay hundreds of eggs, hide in small cracks or in linens, and typically look for someone to feed off of. If you suspect that bed bugs are in your home, get in touch with one of our professionals right away. An exterminator will perform an inspection of the bedroom and the rest of your home. During this process, they will look for any signs of infestation. If bed bugs are discovered, they will determine the best course of action for removal. What happens next will depend largely on the span of the infestation, the severity of the problem, and if there are any small children or pets living in the home. Once the bed bug extermination has begun, it may take several visits before it is gone completely. However, with the help of an experienced professional, your home will be bug free - fast. Remember, the sooner you take action, the easier it will be to deal with the problem. So, if you think you may have bed bugs, call an exterminator from Carpet Cleaning Service immediately. Our thorough inspection will give you the answers you've been searching for. Time is of the essence. If bed bugs are a problem in your home, apartment, or living space, get in touch with one of our Carpet Cleaning Service professionals today. There is no time to lose! Do you need a professional bed bug extermination? Contact Carpet Cleaning Service at: 647-591-2056. Our experienced and knowledgeable staff is ready to improve your home. Think You Have Bed Bugs? We wanted to take a minute to say thank you to everyone at Carpet Cleaning Service. My husband and I were so impressed with the work that was done in our home. Our carpeting looked dull and grey before they visited but now it looks new again. We can't thank you enough for everything! I was really impressed with the staff from Carpet Cleaning Service. Someone came by my home today and they were wonderful. I appreciated their punctuality, professionalism, and the quality results. My carpets have never looked better. Thanks so much. I am so grateful to everyone at Carpet Cleaning Service for their hard work. My grandmother's old couch was faded and stained but their upholstery cleaning made a huge difference. It looks great now! The cleaners were polite and helpful, too. I couldn't have asked for more. Thank you very much. After having our furniture professionally cleaned, my family and I have noticed a change in the way it looks, feels, and smells. We wanted to show our appreciation to the Carpet Cleaning Service crew for all of their great work. We won't soon forget it!